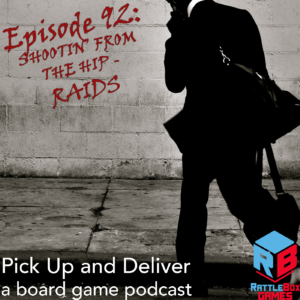 Brendan gives his early reactions to a new game from Iello publishing, RAIDS. Have you had a chance to play RAIDS? What do you think of it? Swing over to our BoardgameGeek guild, #3269, and let us know.